US Secretary of State Rex Tillerson has urged North Korea to carry out what he called a "sustained cessation" of weapons testing to allow the two countries to hold talks. From saying just days ago talks could be unconditional, America's top diplomat has been rowed back by the White House. "A sustained cessation of North Korea`s threatening behavior must occur before talks can begin. They alone are responsible for these tensions. They alone must take responsibility for these tensions and they alone can solve these tensions," insisted Tillerson at a ministerial-level meeting of the UN Security Council. North Korea is not ready to take the blame, and harsh words were traded in the Security Council meeting between Pyongyang's ambassador and Tillerson. 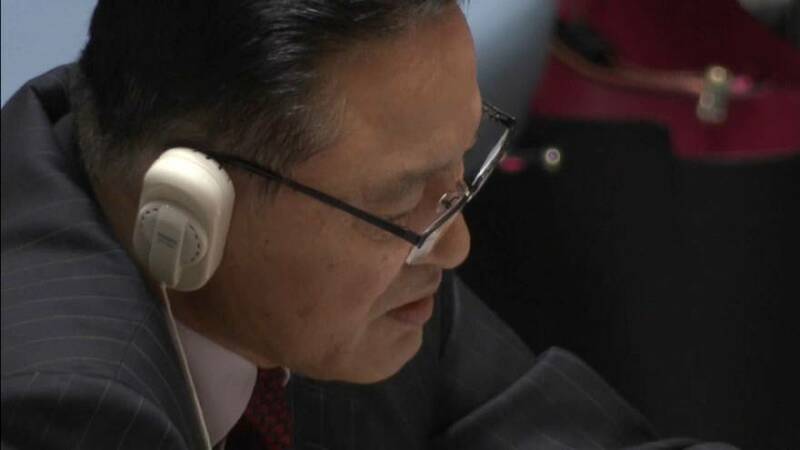 "The development and the advancement of those strategic weapons of the DPRK are entirely to defend the sovereignty and territorial integrity of the country from the US nuclear blackmail policy and the nuclear threat and to ensure the peaceful life of the people," said North Korea's UN Ambassador Ja Song Nam. Friday's UN Security Council ministerial meeting was convened by Japan, chairing the body this month. Japan is on the frontline of any regional conflict if the current period of escalating tension on the Korean peninsula is not ratcheted down, and is within range of North Korea's missile arsenal.